Kinect (formerly “Project Natal”) for Xbox 360 launched to much fanfare at a Cirque du Soleil-inspired show in L.A., on the eve of the annual E3 gaming conference. 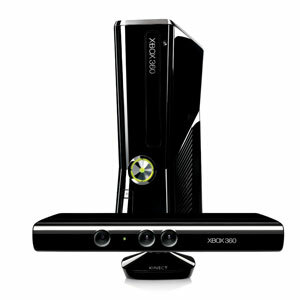 Kinect is an Xbox peripheral that allows you to wirelessly control your gaming screen – no controller required at all. Kinect senses the placement and motion of your body to move and play on the screen. The technology is incredibly simple, all you need to do is wave to sign in, and wave one more time to get to the controller-free menu. It seems a good fit for schools, children and seniors, making it a great option for families. Say simple commands, and it brings you to where you want to go. For instance say “Xbox Zune” and you’ve landed on the Zune screen where you can use your hands to navigate the menu to movies, or say “Xbox Play Music” and you’ve now accessed seven million available songs…all from across the room without actually touching the Xbox or a controller. One of the more impressive features that rivals services like my stand-by, Skype, is Video Kinect, which enables live streaming video with friends. As you move, Kinect follows your skeleton, and tracks your movement so you’re never out of frame. But your friends won’t need an Xbox, you can also connect o your friends using the integrated Windows Live Messenger service. For those using an Xbox, not only can you chat, but watch news, tv, movies and listen to music together. If you’re a sports junky, ESPN has partnered with Xbox to provide 3,500 live and on demand events in Year 1, including college football, college basketball, soccer and NBA games, most in HD. Included will be real time polls, trivia, game tickers and statistics. Kinectimals (Frontier Studio, Microsoft Game Studios) – Play with virtual animals, pet them, and play with them. We demo’d playing with a cute and cuddly tiger cub, which responded to petting and mimicked jumping, frolicking and playing dead. 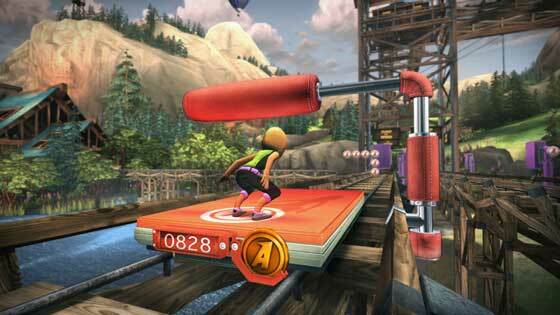 The game will include 40 animals and 30 unique activities like jumping rope. Kinect Sports (Rare, Microsoft Game Studios) – Play solo or head to head in six major events including soccer, bowling, track, ping pong, and volleyball. The interactivity of passing the ball to another player in the room, allowing for assists and other interactive multiplayer play is impressive. Other fun extras include encouraging the crowd, launching fireworks and building your own avatar. 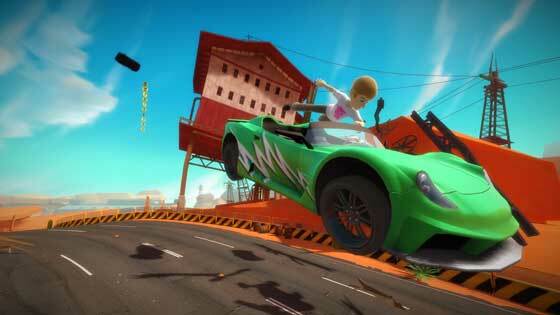 Kinect Joy Ride (Big Park, Microsoft Game Studios) – You are the driver of a car with six different modes including stunt mode, where you can do high flying stunts and tricks including jumps, spins and flips. Kinect Adventures – Comes with 20 Kinect adventures that you can go on, surf rapids, ride Reflect Ridge, surf on a cloud. Get your picture taken during points in the game (just like at an amusement park), where you can then post your video or photos to Facebook or other social networking sites. Your Shape: Fitness Evolved (Ubisoft) – This takes exercise to a whole new level. Pick a personal trainer and you can have your own personal yoga or martial arts teacher in your living room. You can engage in fun gym activities with real fitness moves and competitive games. Dance Central (MTV Games and Harmonix) - This makes Dance Dance Revolution look like child’s play with immersive real body dancing, including pop and hip hop from artists like Lady Gaga and the Beastie Boys. Take it slow with “Break it Down” mode, or go advanced with moves like the elbow throw, hitch hike, knockout, cross down and rock out. More tracks will be available for download, but will initially launch with 90 routines. Other games will be available for the 2010 holidays including EA Sports Active 2 (EA Sports), DECA SPORTS FREEDOM (Hudson Entertainment), Dance Masters” (Konami), Adrenalin Misfits (Konami), Zumba Fitness® (Majesco), Sonic Free Riders™ (SEGA), The Biggest Loser: Ultimate Workout (THQ), Motion Sports (Ubisoft), and Game Party™: In Motion (Warner Bros. Interactive Entertainment). Coming in 2011 will be what looks like truly amazing experiences with Star Wars and Forza (both were big crowd favorites). The only thing missing with the Forza demo was the smell of new leather seats. It was amazing. You can check out your car from top to bottom; kneel down to look at the brakes; checkout the headlights; open up the hood to check out the engine; and then drive, turning your head while in the car to look around at other cars around you, a near perfect virtual world simulation. You could see this revolutionizing the way people inspect and purchase cars, and it would be interesting to see if Microsoft’s relationship with Ford could expand in this direction. It was unbelievably life-like. The Kinect will be available for purchase worldwide starting November 4th. Pricing is rumored to be $149, though that has not been confirmed by Microsoft. Given Sony’s recent announcement that the Sony Move will be priced at $99, it’s possible the Kinect price may come down at launch. The new sleeker and sexier black model of the Xbox is also now available. This version offers 250 GB, Wi-Fi 102.11n and a supposedly quieter fan – and the same price of $299. Disclosure: Microsoft Xbox 360 sponsored Heidi Leder's trip to L.A. to attend the launch of Project Natal and provide hands-on time with the soon-to-launch Kinect games. Kinect looks absolutely fantastic, I’ve been following it since it was 1st announced as project natal. On release it already looks great but I can only imagine what the games will be like 1 or 2 years from now. I am especially looking forwards to seeing how fighting games play out with kinect. about Minecraft on my Xbox.. I feel like Minecraft is going to be this generation’s Super Mario Bros. Almost every kid or gamer for that matter not only owns it, but respects its simple genius. Even people who only dabbled in it for a short time and passed on seem to look at this game as an instant classic. The Idea of using simple three dimentional blocks to construct an environment that so deeply simulates a real world is amazing. For example, you mine for iron ore, which you smelt into iron ingots, which you use to build Iron tools and armor. You dig up stone to build whatever type of home you want. You melt sand to make glass. etc. It is amazing, and more importantly it is one of the best tools to build a young gamer’s creativity that you could possibly find. Minecraft is amazing.